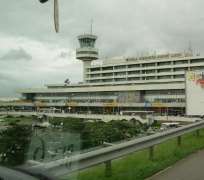 More than 30 Nigerian nationals have been deported from the Republic of Ireland on Thursday night on a flight to Lagos. The charter flight landed in Dublin carrying 45 deportees from the United Kingdom and seven from Switzerland and Germany before leaving for the Nigerian commercial city last week. Irish Times reported on Friday that The Irish Refugee Council has called for one of the deportees to be allowed to return to Ireland to care for her two young sons, who were born in Dublin and have Irish citizenship. The 32-year-old woman, who had been living in Mosney, Co Meath, with the children, aged 2½ and nine months, was deported after her application for asylum was denied. The children's father, a Nigerian (41), has been in Ireland for 11 years and holds an Irish passport. He told The Irish Times that he wanted the woman to be allowed to return to care for the children, who will live with him in the interim. "They need their mother," he said. The children's parents are not married. A spokeswoman for the Irish Refugee Council said the youngest boy is still being breast-fed. She called for the children's mother to be allowed to return to Ireland immediately "on humanitarian grounds." The Residents Against Racism group protested outside the Garda National Immigration Bureau in Dublin on Thursday afternoon. Spokeswoman Rosanna Flynn claimed the deportations were "handled in an extremely heavy way." The Garda deported 56 Nigerian nationals from Ireland on December 12, 2008.